WARNING: This article instructs users to tamper with registry files. Mistakes made during the procedures described could have unintended consequences. Be sure to back up your registry prior to attempting any hacks. Have you ever tried to close a desktop application by clicking the red “X” button only to have the ghost of the charms bar pop out and get in your face? If you spend a lot of time in the desktop environment you likely have. While this white Charms bar is only a visual hint and it doesn’t stop you from clicking the button you’re aiming for, it’s jarring to have it popping out all the time. To relieve yourself of this annoyance, you can try a simple registry hack that will disable this hint. You can still open the charms bar by moving your cursor to the top or bottom right corner and then sliding it towards the middle of the screen, but you won’t see that annoying white hint ever again. Double-click this new value and enter “1” in the Value Data field. Click “OK” and your job is done. The Charms bar isn’t the only modern interface tweak that baffles desktop users. In the top-left corner, where many apps place the “File” menu, you’ll find a switcher that allows you to swap between open Windows store apps on your computer. If you find yourself with a thumbnail of your last opened app blocking your ability to click “File” you may want to consider disabling the switcher. Another registry tweak is all that stands between you and relief. Once done, you can still swap between Windows store apps and desktop apps using the alt+tab keyboard shortcut. Right-click “EdgeUI,” select “New” and click “DWORD (32-bit) Value.” Enter the name “DisableTLcorner.” Double-click the new value and enter “1” in the Value Data field to complete the job. Do you remember the days when the Windows File Explorer would open directly to the My Computer screen? From there you could access any drive on your system with a click. If you miss those days, as I do, you can reconfigure the default screen in File Explorer in Windows 8. If you like the sound of the My Computer screen, you can use that, but you aren’t limited to that one option. You can use any folder on your hard drive as your starting point. It’s up to you. If you’d rather use another folder, simply copy the complete path to the folder from the location bar in File Explorer and paste it in the Target field. Click “OK” to finalize your settings and click the File Explorer icon to test your new default page. On a mobile device that spends a lot of time in your pocket, a lock screen is a helpful tool. It keeps you from accidentally triggering buttons as your fingers brush against the touchscreen. On a desktop or laptop computer though, it serves no purpose whatsoever except for requiring an additional step before logging in. If you would rather the lock screen never existed, you can eradicate it with a simple registry tweak. Launch the Registry Editor by searching for “regedit” from the Search charm. Click “regedit.exe” from the results pane. Double-click the new value and type “1” in the Value Data field. If you’re a desktop user, you’ll likely spend very little time on the Start screen preferring to stick with the familiar desktop environment. If you are such a user, having Windows boot to the Start screen every time you log in is a pain. Windows 8.1 makes avoiding this a simple task, for users who don’t want to wait for that update to be released, you have another option. Using the Task Scheduler, you can create a task that runs each time you log in that switches you to the desktop. When you log in, you’ll see the Start screen first, but after only a second or two the task you create will swap you over to the desktop. Open the Task Scheduler by searching “Schedule” from the Search Charm. Select “Settings” and then click “Scheduled Tasks” from the results pane. Select “Create Task” from the Actions pane on the right side of the Scheduler window. Enter the name “ShowDesktop” on the General tab and then select “Windows 8” from the Configure for drop-down list at the bottom of the tab. The next time you log in, you’ll only see the Start screen for a couple of seconds before it swaps over to the desktop. The only side-effect of this method is that you’ll find an open File Explorer window on the desktop. Last on the list is likely the most unpopular annoyance introduced in Windows 8, the lack of Start menu. For touchscreen users, the Start screen is likely an improvement over the Start menu. The big bold tiles and touch gestures make tapping your way into apps much easier than scrolling through a cramped menu. For mouse users though, the new interface results in a lot more mouse movement and scrolling to get where you need to go. To bring the Start menu back, you have a number of options. If you don’t like the idea of installing a third-party application and utilizing additional system resources, you can create a menu of your own. If you’re not hurting for resources and are more interested in advanced features and a polished interface, there are a number of free applications you can install that will give you exactly what you need. The biggest change in Windows 8 is the Modern UI (formerly known as Metro UI). Now, in addition to the Desktop workspace, you have the Start Screen. The apps that you install from Windows 8 Store can only be accessed from the Start Screen. The Uninstall or Change a Program dialog box lets you uninstall only those applications that are installed from external sources. You can uninstall any Windows Store app from Start Screen by right-clicking it and then selecting Uninstall option from the bottom. Although, it saves the hassle of opening Uninstall or Change a Program dialog box, it provides access to all users to easily uninstall the Windows Store apps from your computer. If you’re looking for a way to keep standard users from uninstalling Modern UI apps, check out our article to find out how to disable the uninstall option from the Start Screen. Windows 8 comes with its own app marketplace called the Windows Store. The number of apps available for download are increasing with each passing day, and the Windows Store still needs to go a long way. Just like other app marketplaces, there are both free and paid apps available for download. If you are lending your Windows 8 device to your friend or colleague, then you probably don’t want them to download paid apps, using your credit card information. Disabling the Store is a good way to prevent anyone else from installing any unwanted app to your system, however, there is no default option to disable the Windows Store. You can check out this tip to disable the Windows Store by changing its policy setting in Local Group Policy Editor. The Start Screen of Windows 8 displays shortcuts to the installed apps in the form of colorful tiles. The tiles can be used to quickly access your favorite programs. If you install a news app, its live tile will display the latest headlines. You can move the tiles around, create groups for similar types of tiles and resize the tiles. When you open the Start Screen, Windows 8 detects the resolution of your monitor and decides the total rows of tiles that will be displayed on the start screen. There is no default option to control the maximum number of rows, so, if you want, you can not have a fewer number of rows. However, a simple registry hack allows you to control the maximum number of rows that will be displayed on the Start Screen. In order to set a maximum limit for the number of tile rows, navigate to the following registry key. Right click in the main window, select New, and create a new DWORD (32-bit) Value. Now, rename it toLayout_MaximumRowCount. and then open the key to set the custom maximum number of rows. You can restart or log off your computer to implement the changes. On a monitor with 1920 x 1080 resolution, you can get up to 6 rows of tiles on the Start Screen. 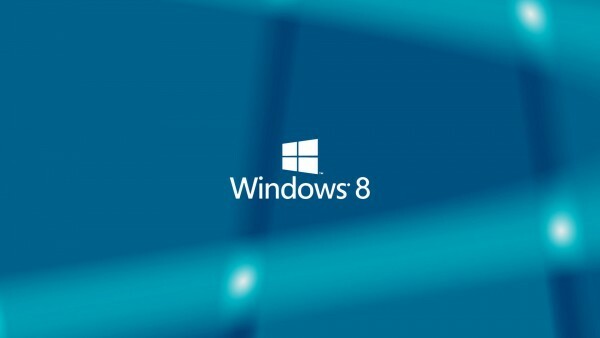 You may already know that Microsoft has dropped the Aero, and Windows 8 wraps windows in non-transparent borders. This move was aimed at making the operating system faster and more efficient by removing heavy UI elements that consume too much of system resources. You can still change the color of Windows borders to match your theme, but since the transparency is no more there, large borders mean that more screen space will be blocked by the active window. By default, there is no simple way to set a custom border size, however, you can change the border size of windows from the Windows registry. To change the border size, first open Windows Registry Editor and locate the following registry key. Now, look for the “BorderWidth” key and open it. By default, the value is set at –15. You can choose any value from 0 – 50 for the windows borders. One of the features that most Windows enthusiasts miss in Windows 8 is Windows Color and Appearance. As the name suggests, it is a UI related settings dialog box that allows you to change the size and colors of desktop elements. One of its options allow users to change the vertical and horizontal spacing between the desktop icons. In Windows 8, you can change the default values of vertical and horizontal spacing using the Windows registry editor. In order to change the icon spacing, head over to the following registry key. Now, from the right side, look for the keys named “IconSpacing” and “IconVerticalSpacing”. By default, the value of both keys is set at –1125. You can increase this number to increase the space between desktop icons. The start Screen in Windows 8 can be customized using the Personalization options included in the PC Settings. It allows you to choose a tattoo to be displayed on the Start Screen and select the main color for the Modern UI. When you open the Start Screen, it displays the tiles in a specific animation. Windows does not provide you with an easy way to change the speed or style of the animation, however, a simple registry tweak can be applied to enable and control the animation. Other than the tiles, this registry hack also work for the animations for User picture, Username, and the Start text (present at the left side of the Start Screen). In order to change the Start Screen animations, open the Windows Registry Editor and open the following registry key. Now, right-click in the main window of the registry editor to create a new DWORD (32-bit) Value and rename it to Launcher_SessionLoginAnimation_OnShow. Once created, open the key and change the value to 1. Close the registry editor and open the Start Screen. You will notice that the hidden animation is enabled.